This is the second part of our adventure and this, amongst others is the most memorable. It has left our gastrocnemius and hamstring muscles so sore we can hardly move even a single step. Of course this happened the day after. What we faced during that three hour trek was a long haul of uphill and downhill climb intensified by the scorching heat of the sun. The Barangay of Mantalongon is part of the town of Dalaguete (southeast of Cebu) yet its location gives it an access to the town of Badian located at the southwestern part of Cebu. It is basically located in between Dalaguete and Badian. 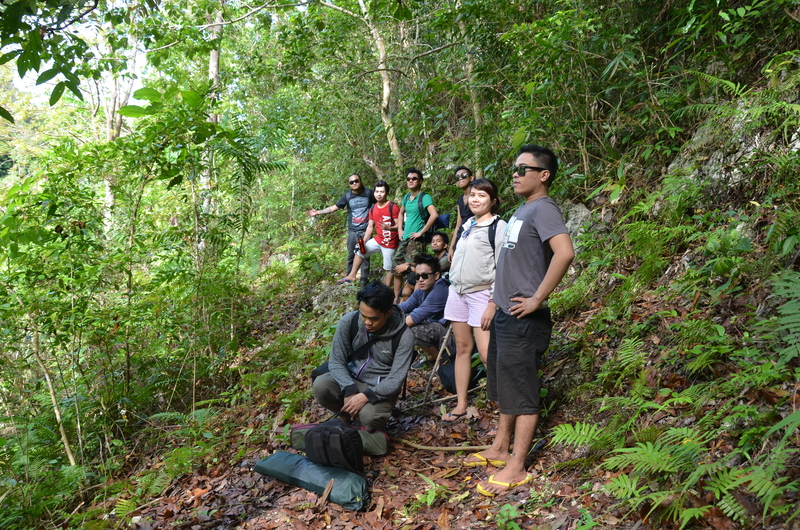 There are two ways to reach Kawasan Falls in Badian from the peak. The hired tour guide (a kid named William) gave us the following option. 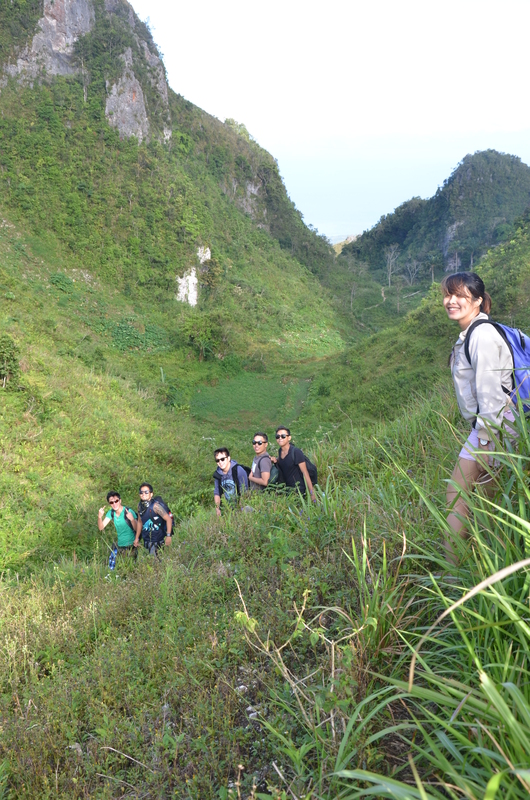 First is the 6 hour traverse from the peak which would lead us directly to the second falls of Kawasan. The other option was the 3 hour trek from the peak to Basak, Badian then riding a tricycle to the Badian Market then a multicab to Matutinao, Badian where the Kawasan Falls is located. Since a 6 hour trek was so hard to imagine, we opted for the second approach. After clearing everything up at the peak, we were ready to set foot. It was 7 am when we started and the sun was beginning to show. Notice the excitement of our faces. 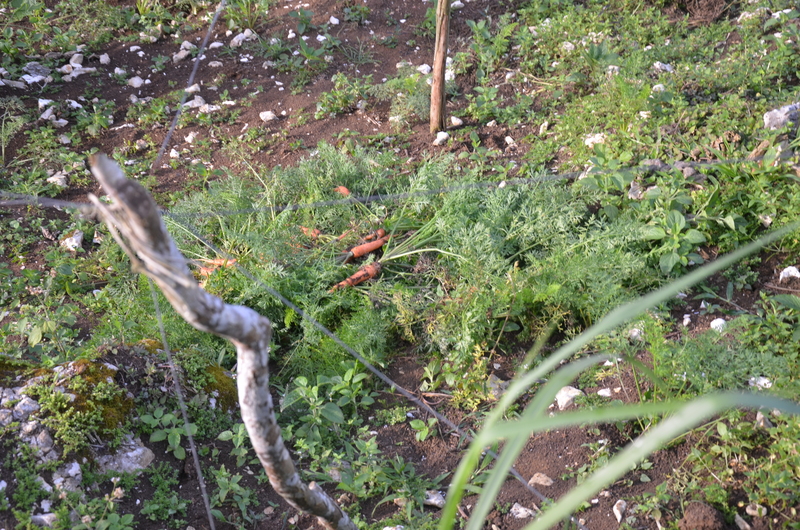 We passed by a luxurious vegetation of carrots, cabbages, etc. The people were very kind they even offered us some carrots. The terrain was no joke. It was a series of uphill and downhill, the trail wasn’t all that easy to walk since most are covered with shrubs and vines. We slid on slippery paths and stumbled upon tortuous rocks. No joke at all. But we managed to laugh at every misfortune we encounter. Moving forward, as we felt the scorching heat of the sun and the undulating response of our body to the strain of walking up and down the hill, we felt tired and thirsty. We didn’t bring enough water so we had to salvage the 500 ml water we have. In order for us to overcome the stress, we took frequent rest periods, made jokes with each other, told trivial stories and emerged ourselves in the fun of the journey. After all, what’s important is the journey- the odyssey. No matter how long and treacherous your journey may seem, there is light at the end of the tunnel. Alas! we’ve reached that end of the tunnel. After 3 hours, we found the road! We paid the guide 400. For those of you planning to hire a guide on your trek to Kawasan, you may contact William Gamboa (our guide) beforehand with this number- 09092365698/ 09309075829. From there, we hailed a trike to the Badian Market where the teminal for multicabs and trikes for Matutinao is located. Travel time is 30 minutes and fare is 15php. 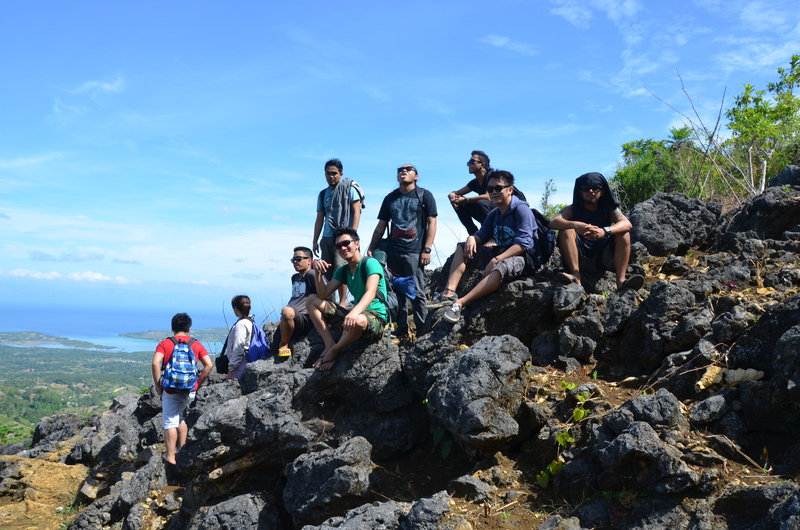 It was a blessing that we took that option since we were able to catch a glimpse of the town of Badian. In fact, we were able to pass by the main terminal of Librando (a bus line famous in Cebu). 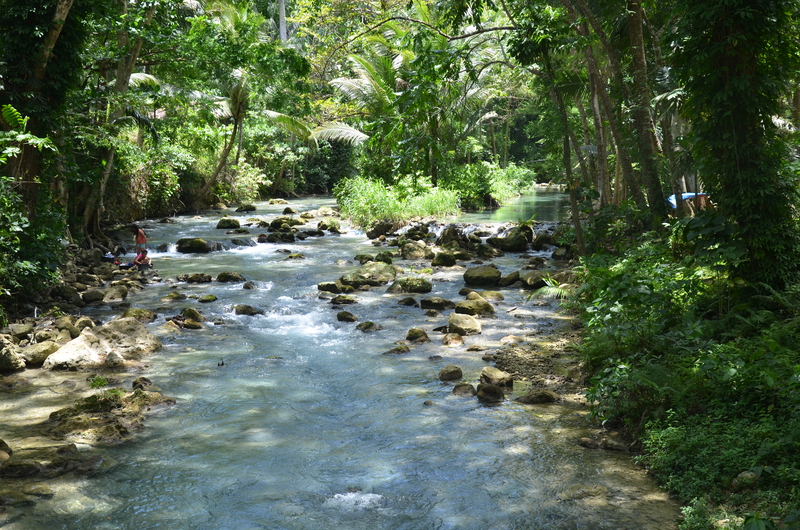 From the market, we then rode a multicab and made our way to Matutinao where the famous Kawasan Falls is located. Travel time is 15- 20 minutes, fare is 10php. 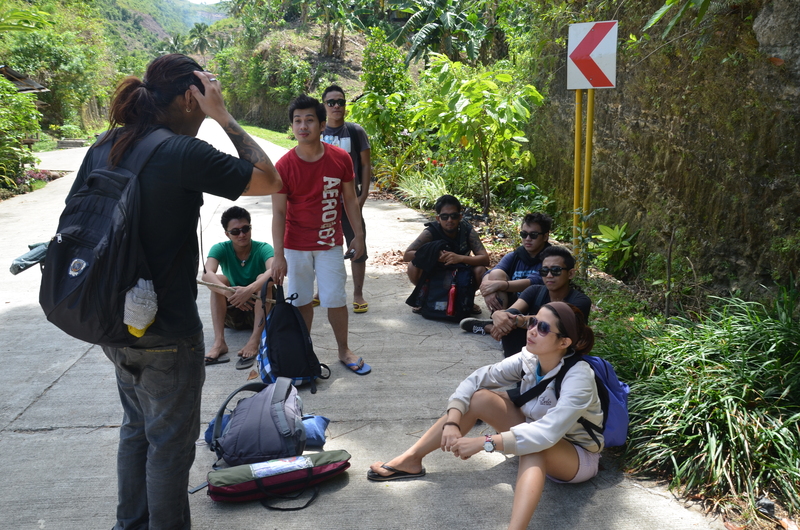 On to our next adventure!- I Left My Ray- Ban in Kawasan. why did you use the word “infamous”? it’s like there’s something bad there. i mean its offensive for me who lives in this town and who is proud about it. please choose your words wisely.